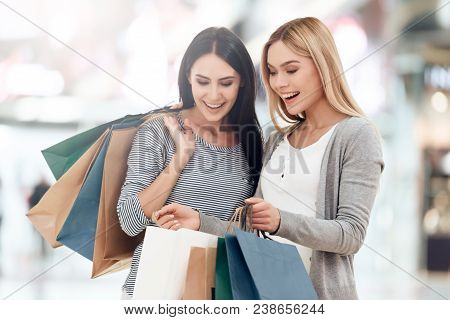 Young girlfriends with shopping bags are shopping at mall. Shopping concept. Consumerism concept. Sale.